CCM Deluxe Mini Hockey Set | Sports Etc. The CCM Deluxe Mini Hockey Set is your key to endless knee hockey enjoyment. 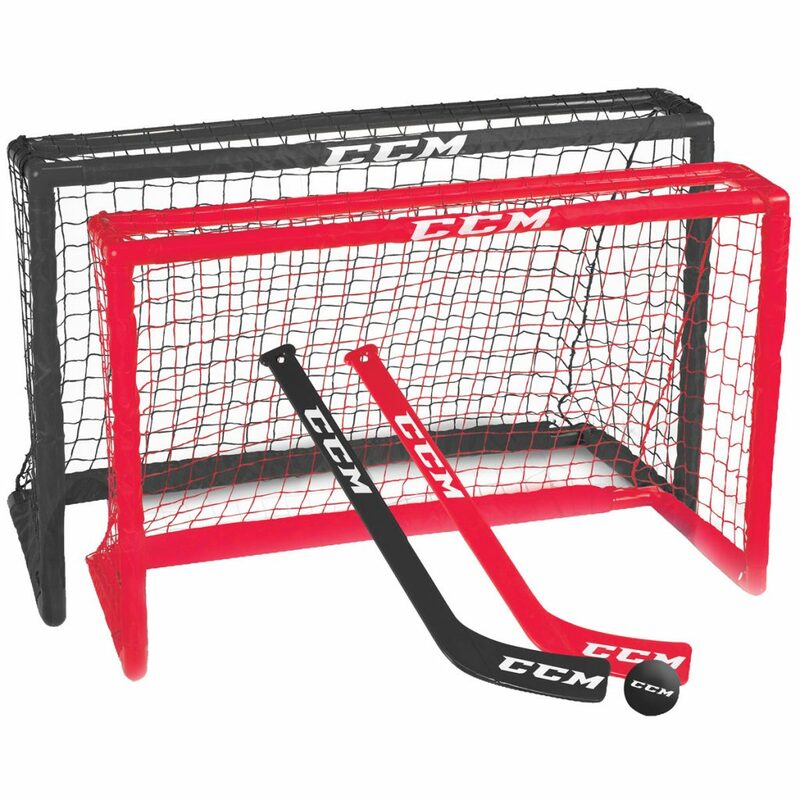 CCM offers 2 pro-style PVC hockey goals, 2 plastic sticks and a foam ball so you can play your favorite sport anywhere. The durable PVC construction of the nets makes them easy to carry from place to place.